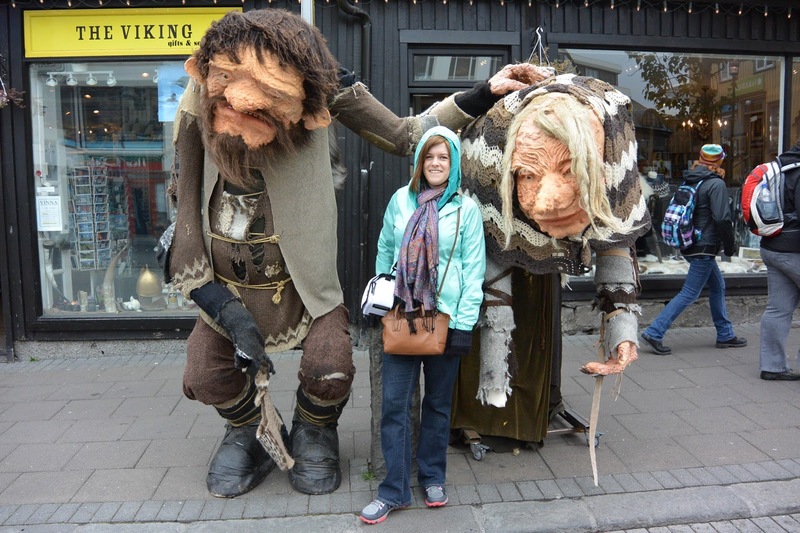 I want to preface this post by saying that Iceland was the most amazing trip of my life. So many amazing sights to behold and I am so glad I went (it was kind of a whim with a friend, which we only started planning in May). 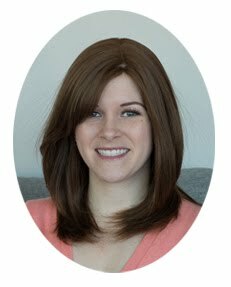 I also created a guide for my friend Sarah and I to follow as we drove around Iceland and now that I am back I plan on adjusting it and adding in lots of tips. Once that is done I will be uploading it to share with everyone! Because honestly, I expect you all to book tickets as soon as you read my blog posts. Day 1: My friend Sarah and I headed off to the airport on Friday after work. In Toronto the direct flight to Reykjavik, Iceland leaves at 9pm and arrives in Iceland at 6:20am...and it is only a 5 hour flight. The flight was great- I loved Icelandair and the plane even had "northern lights" instead of dimmed lights on the plane. Really cool! We all had a blanket and a pillow and by some miracle I actually slept most of the flight. We landed and took the first bus out to the Blue Lagoon, a geothermal spa. We got there right as it opened, and it was pretty quiet (though even midday it was pretty non-crowded in our opinion). We splurged on rented robes and spent about an hour in the warm to hot waters (depended on where you went in there). There were free mud masks and also a bar if you want to enjoy a drink! They gave you bracelets that you charged everything to so you didn't need to carry cash. After our swim we were so tired (remember that flight?) so we retired to the "relaxation room" for a sweet 1 hour nap! 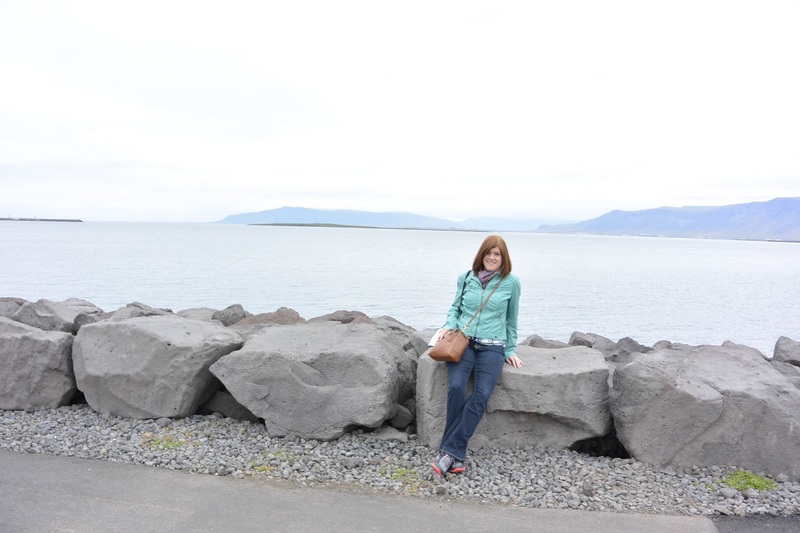 We left the Lagoon around 1pm and travelled into Reykjavik, where we planned on spending the weekend. 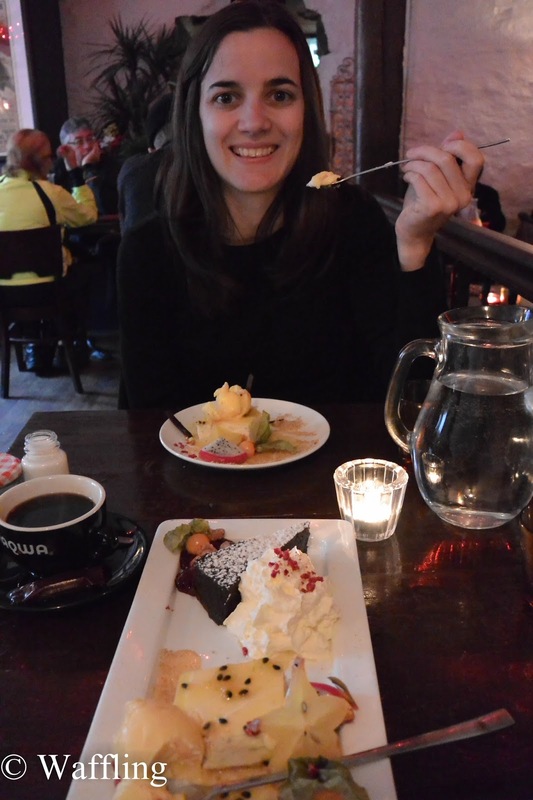 We stayed at Hlemmur Hostel, which was pretty nice and a decent price (Reykjavik is REDONK expensive). 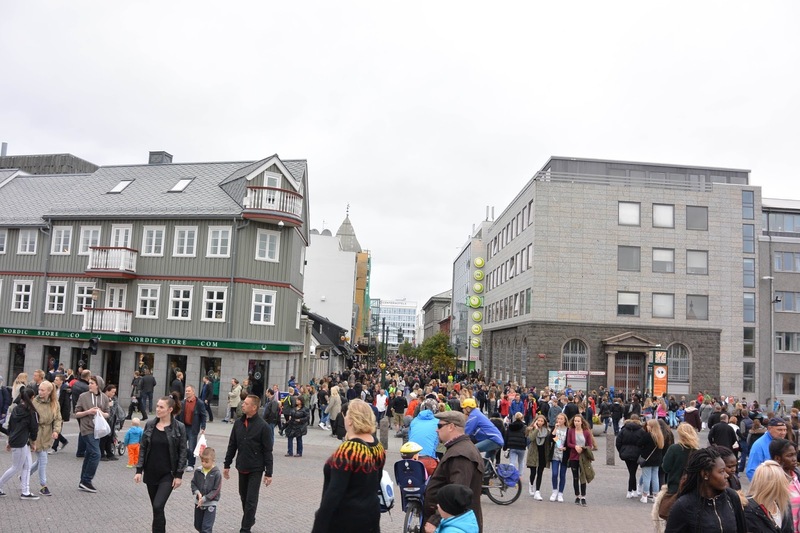 Saturday in Reykjavik was "Culture Night" so there were small events all over the city. They also had a marathon that day so the city was crawling with people. We couldn't even get in to eat anywhere for dinner and we ended up getting cotton candy and sandwiches on the street. It was a little cool and rainy that weekend, but still very pleasant to walk around town. 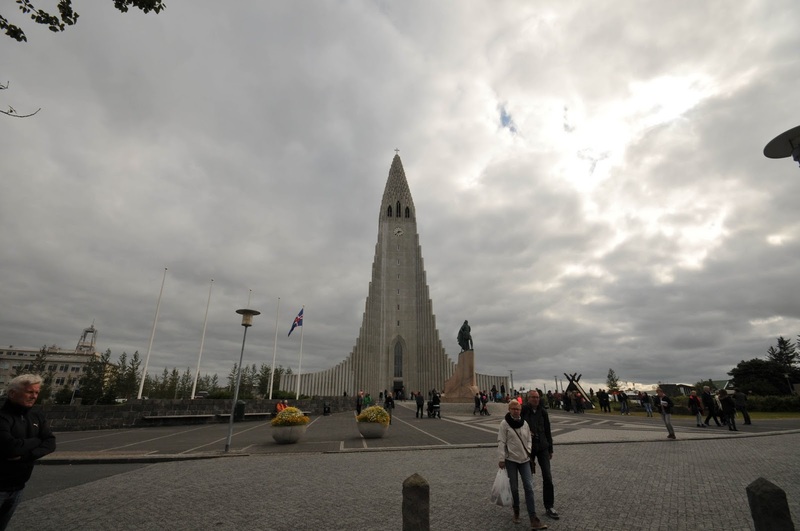 There is a large church in Reykjavik called Hallgrimskirkja which offers a great view. Usually you have to pay to go up, but because of Culture night we got up with just a donation of $5 Cdn! Sunday morning we got up and decided to go to the Phallologcial Museum, which was across from our hostel (FYI- the only place in Iceland that doesn't take credit card, but they did take Canadian dollars!). Anyway, it was a really cool stop and I recommend it! We didn't go to any other museums or galleries in the town because of cost, but we both agreed this one was worth a visit. Haha! One of a kind! Sunday afternoon was mostly walking around town! We did stop at Baejarins Betzu Pylsur for lunch, which is the number 1 restaurant on all lists! And it is....a hot dog stand. 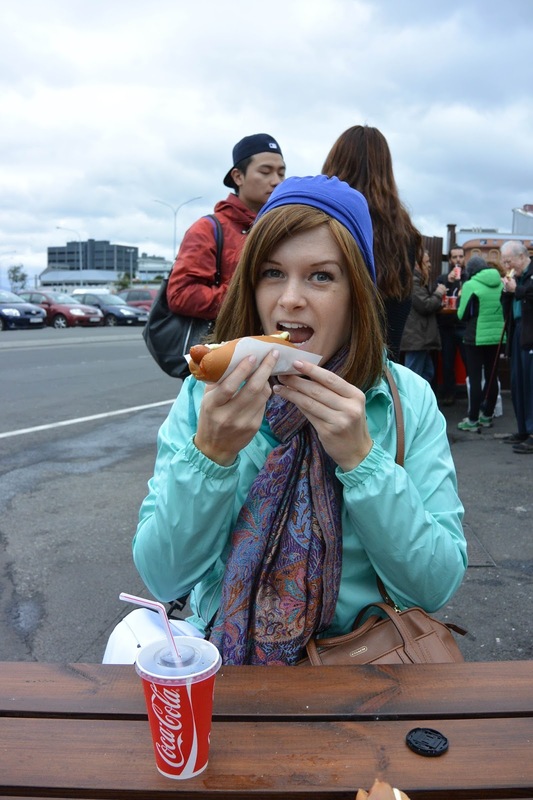 Icelanders love hot dogs and they make a mean wiener. I fell in love with cronions (crunchy onion bits- stuffed my suitcase with them), and potato salad on hotdogs. They also have a lot of weird sauces- no idea what they were. By the end of the meal we were stuffed to the brim and headed back to our hostel for a good night's sleep because at 8am Monday morning we were heading out for 7 days around the Ring Road (road 1 in Iceland which goes around the country)! I will be back next week with another couple posts about our adventures around the country of Iceland because I have a lot to say and a LOT of photos to share. PS- I want to add that Rekjavik is a nice city to visit, but going out into the country was the most amazing part of the trip. It is a beautiful country and a shame that most people don't take the time to see some of it! Looks great so far! I definitely want to visit one day so I'm paying attention to all your tips. 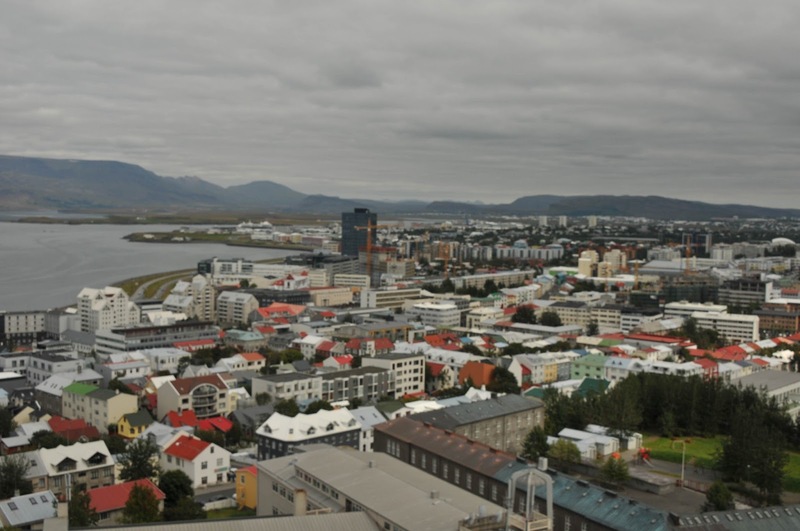 Oooh - Iceland in my list of must visit places so I'll be paying attention. 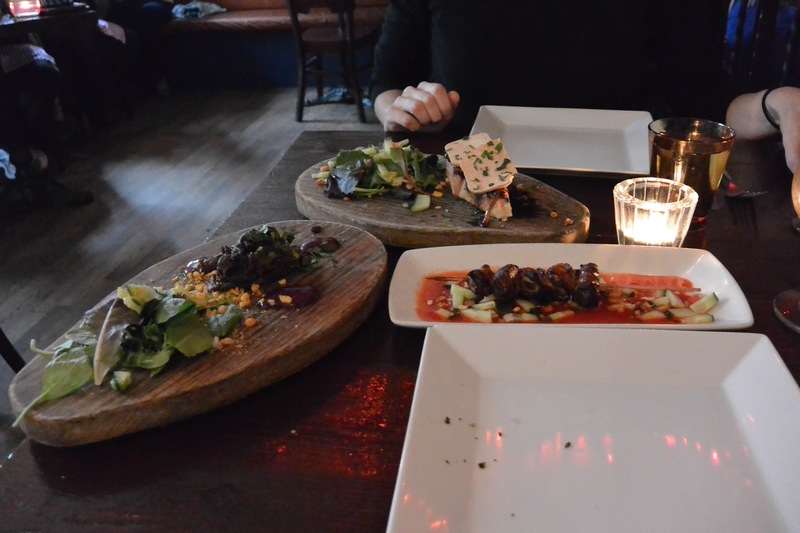 When I travel I love trying the local fare - I don't understand people who go to a different place and try to eat like they wold at home - where the fun in that?